Is your toilet getting clogged again and you are tired of trying to come up with a viable solution on your own? There are times when you need to realize that calling a toilet installation & repair service in Gold Bar will be your best option. The good news is that you can trust that Trident Plumbing and Drain Cleaning will have all of the skills and equipment to get the job done correctly once and for all. There is nothing worse than being caught off guard by some sort of bathroom issue related to your toilet. This is a space within your home that sees regular use on a daily basis, so you always need to have a properly functioning toilet. Not only that but you will find that having an efficient toilet can make all the difference when it comes to the amount of water that you are using each year. Do you think that your toilet is out of date and you are in need of a change? If this is something that you would rather not take on by yourself, hiring our professional plumbing technicians at Trident Plumbing and Drain Cleaning will give you the right results. We can come out to your home or business to see about getting you the new toilet installations that you need. All of our work is completely guaranteed and we will be more than happy to provide you with a list of professional references. 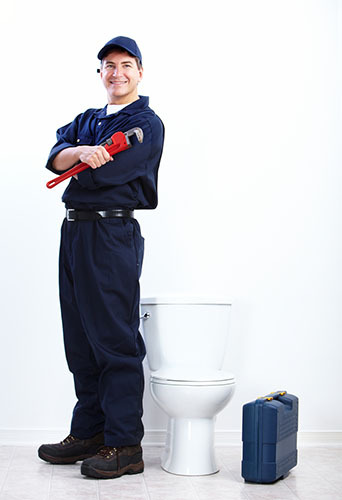 Whether you have a clog, drip or noises that are coming from one or more of the toilets in your home or commercial space, you need to have it fixed sooner than later. Give us a call and we can make sure that everything is back to functioning properly in a timely fashion. If you need a dependable toilet installation & repair service in Gold Bar, contact us at Trident Plumbing & Drain Cleaning. Call us today at (425) 321-6043!